Extravagant and dramatic, Victoria crystal ring is made from silver plated metal. 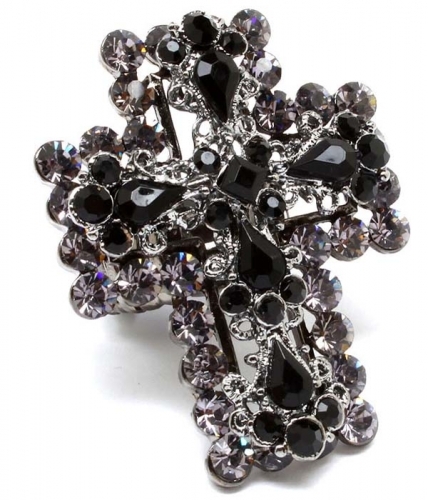 The piece featured the shape of a cross with tiny round and teardrop crystal studs on its surface. Adjustable width for maximum convenience. Purchasing jewellery online here at Oz Bling is simple and fun. Feel most welcome to contact us for any help you may need.